Big Bad Wolf (BigWind) is trying to blow up Ohio’s economy! In this case, the Big bad wolf of industrial wind is determined to blow Ohio’s economy to pieces with the help of the Kasich Administration. But we “little people,” like the little pig, are building strong arguments to protect our homes and families. The pressure is building on the legislature concerning the mandates. We urge you to read the article below that indicate a showdown is coming. Governor Kasich appears more determined than ever to veto any continuance of the mandates or any effort to eliminate them. What would that mean? Ohio currently gets 2% of its electricity from renewables. If the freeze is lifted, Ohio utilities would have to secure 3.5% by the end of 2017 or face fines. This is coming in the face of considerable publicity from Ontario, Canada as to how renewables have increased rates and wrecked their manufacturing economy. Similar stories are reported from Wisconsin. AEP wrote a notable column in the press about their preference for the PUCO to have – no pun intended – all the power to do whatever they want so that Ohio will have a predictable regulatory environment. They seem to reject the notion that Ohio is a part of a regional power system. Julie Sloat, president and COO of AEP Ohio is quoted as saying “Instead, Ohio needs to take control of its future by ensuring that the state has a diverse mix of power generation resources that protect Ohio jobs and the tax base. Ohio’s energy future needs to provide a more stable and predictable environment for business development and enable more investment in power plants – including wind and solar – within Ohio’s borders, while still allowing for customer choice.” Forget it. AEP’s position appears to be one which invites the people of NW Ohio to be trampled and its migratory flyways transformed into a new kind of ‘highway to heaven’ for birds. The Ohio Power Siting Board’s comments period on proposed rules for siting industrial turbines closes on Monday, October 24th. The OPSB’s website notes: “In May 2016, the OPSB initiated a new rulemaking docket in case number 16-1109-GE-BRO for the purpose of issuing for formal comment proposed revisions to Ohio Administrative Code 4906-4-08. In an entry dated, September 22, 2016, the OPSB issued proposed rules in amended Ohio Administrative Code 4906-4-08 and newly proposed 4906-4-09. The OPSB requests that interested persons submit comments on the proposed rules by October 24, 2016, and reply comments by November 8, 2016. At the conclusion of the comment-and-reply comment period, the OPSB will issue final rules to be reviewed by the legislature before taking effect. Specific information on the proposed rules can be accessed at http://www.opsb.ohio.gov/opsb/index.cfm/Rules/. (a) The distance from a wind turbine base to the property line of the wind farm property shall be at least one and one-tenth times the total height of the turbine structure as measured from its tower’s base (excluding the subsurface foundation) to the tip of a blade at its highest point. (b) The wind turbine shall be at least one thousand, one hundred, twenty-five feet in horizontal distance from the tip of the turbine’s nearest blade at ninety degrees to the property line of the nearest adjacent property at the time of the certification application. (c) The distance from a wind turbine base to any electric transmission line, gas pipeline, hazardous liquid pipeline, or state or federal highway shall be at least one and one-tenth times the total height of the turbine structure as measured from its tower’s base (excluding the subsurface foundation) to the tip of a blade at its highest point. (d) Minimum setbacks from property lines and residences may be waived in the event that all owners of property adjacent to the turbine agree to such waiver. We understand that the proposed rules also require that setback waivers be in writing, and the developer must notify the property owner of the setback requirements and why the property is subject to the minimum setback requirements. The waiver must apply to subsequent owners or tenants of the property, and must be recorded in the County Recorder’s office. With respect to noise, the proposed rules adopt the +5 dbA over background standard but do not use the recommended L90 measurement which is the accepted form. It is also silent on low frequency noise. Noted acoustical expert, Rick James along with audiologist Jerry Punch have recently released a peer reviewed paper Wind Turbine Noise and Health: A Four-Decade History of Evidence that Wind Turbines Pose Risks. Both James and Punch have testified as expert witness on behalf of UNU in the Buckeye Wind project being developed by EverPower. Rick has asked that we share the link to the paper with you. We encourage everyone to read this paper that specifically rebuts 12 false claims by the wind industry regarding impacts to health. The authors recommend that distances separating turbines and residences generally should be in the area of 1.25 miles. They also caution that setbacks for physical safety do not protect against adverse health effects. This makes the standard for acceptable sound levels critically important because they can provide support to the property line setbacks currently required in the rules. James and Punch favor a standard ranging from 30-40 dBA, which is consistent with the recommendation of nighttime noise levels by the World Health Organization. Finally, we recommend to your attention an outstanding summary of impacts from industrial wind turbines in Canada. Did you know “Earthworms are absent around turbines. (it is thought to be from the vibration in the ground). Farms need the three types of earthworms to keep the land fertile for crops. No worms, no crops.” Go to http://www.windontario.ca/ for more great, but disturbing information…. 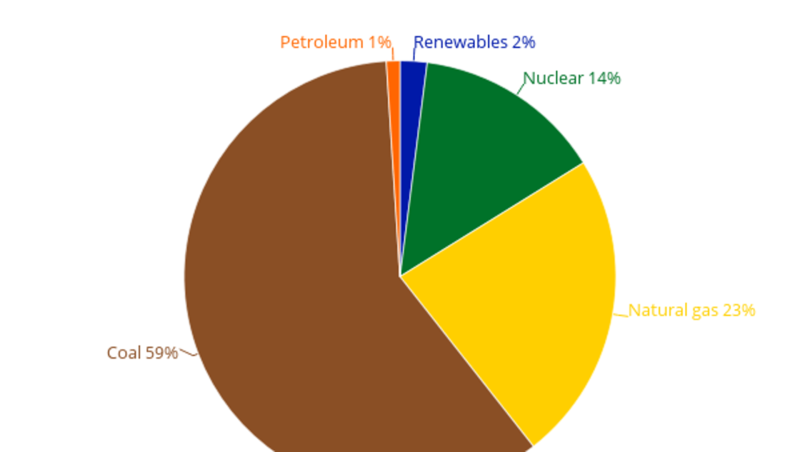 How much of Ohio’s electricity is powered by renewable energy? According to the most recent annual report of the U.S. Energy Information Administration, it’s 2 percent. In other words, 98 percent of the energy powering Ohio’s lights, stoves, air conditioners and so much more is created from nonrenewable sources, like coal and natural gas. 1. The senator’s view on climate change. 2. Seitz: This is about cost. During a 45-minute interview on the topic, Seitz said, “this is not about renewable energy” and “this is not about coal. … Since everyone is for clean energy and thinks it’s free, we thought it would be a good idea to disclose on their bill just how much we are paying for this stuff … By golly, here we are at the lower reaches of it (3 percent) and we’re going to 12.5 percent on renewables, and we have bill increases of about 9 percent. We’re not trying to protect the utilities here, we are trying to protect the ratepayer … I recently read that wind and solar prices would decline by 59 percent by 2026. So my answer is: We’ll buy it in 2026.” Note: Seitz made clear that he meant an increase of 9 percent on the “generation” portion of people’s utility bills, not the total cost. 2. Renewable energy companies are already getting a tax break. 3. Ohio isn’t a good state for solar and wind. 4. Senator asks why create state rules until we know what will happen with the federal Clean Power Plan? What did Gov. John Kasich say in Texas? Ohio Gov. John Kasich recently sat down with CEO and co-founder of the nonprofit Texas Tribune Evan Smith for The Texas Tribute Festival in Austin, Texas. They spoke about a wide variety of issues facing America, energy and the environment were two of them. Kasich: I think it’s real. I don’t want to overreact to it, but I think it’s real. Smith: You know, the mere fact that you say those words, that’s a controversial thing. Kasich: Look, look. You know, when you get to be in public life, where you get responsibility, put your hands on the wheel and drive the car. What am I supposed to do? Take a poll? Who’s going to like this or that? Now look, when I say I believe there’s climate change, what do you do about it? I’m not for shutting down all this fossil fuel, I think this is extreme. Smith: You did advocate for a tax on hydraulic fracturing, did you not? Kasich: Yours (in Texas) is higher than ours, and I’d like to get ours higher so I can cut my income tax, instead of you taking all my liquids out of my state and living high on the hog here in Texas, you know. I like you, but I don’t like that idea. What I’m saying is, I think we need everything. Look, the Tesla is an amazing car. Are we going to get a breakthrough in battery technology? If we do, it will change everything in this country. I believe in solar and wind and all that, but let me tell you, I believe in fossil fuels, as well. With coal – clean it. Dig it, clean it and burn it. Nuclear power, you know … I think there are a lot of people who are extreme, but this environment needs to be managed. I believe this Earth was given to us by the Lord, and we have an obligation to take care of it, but not worship it…. Source: Ohio produces less renewable energy than Kentucky. Is that OK?